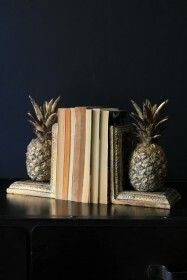 Create that Club Tropicana feel in your home without going back to the 80's! The Gold Pineapple Wall Light has a tropical feel that will help your home feel like paradise. 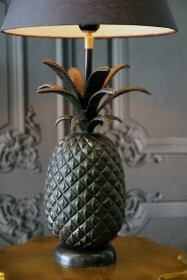 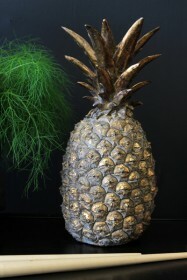 The detail in the pineapple shape at the top adds a very geometric, realistic design and the leaves splayed out finish off the pineapple perfectly. 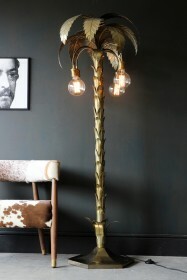 Set on a base of gold coloured leaves, the lamp arms are very much a part of the light and as a whole, it looks fabulous! 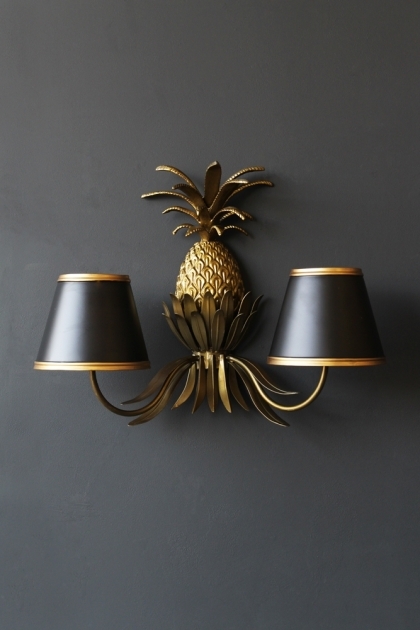 This fruity wall light is then completed with two black metal shades with gold rim to tone into the wall mount colouring. 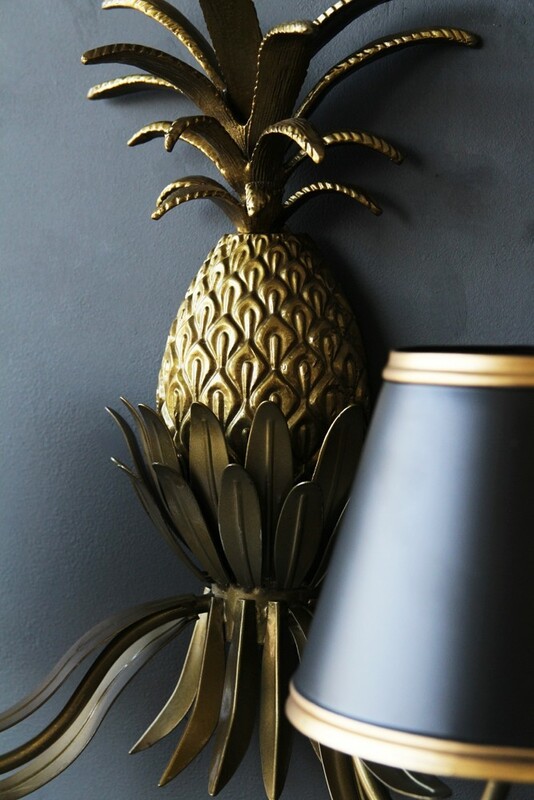 We love the black and gold colour combination and the wall light will look great against most colour schemes and fit in with your home interior.